Art Deco began in Paris in the 1920s and 1930s, before becoming a global style phenomenon and has enjoyed many a revival since. 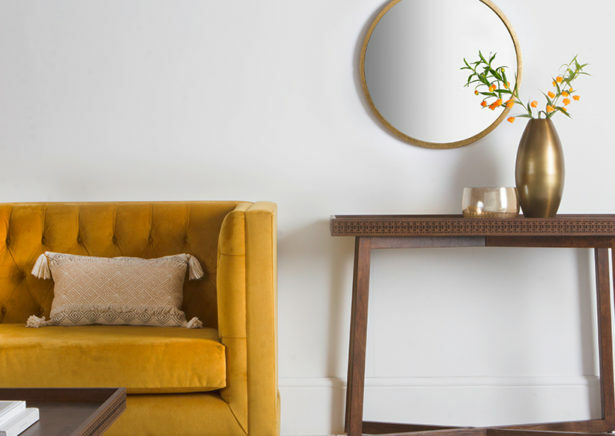 Defined by geometric shapes, a mirage of mirror and metallics, inspired-by-nature motifs and a rich colour palette ­– the design of this era was made for maximum impact. 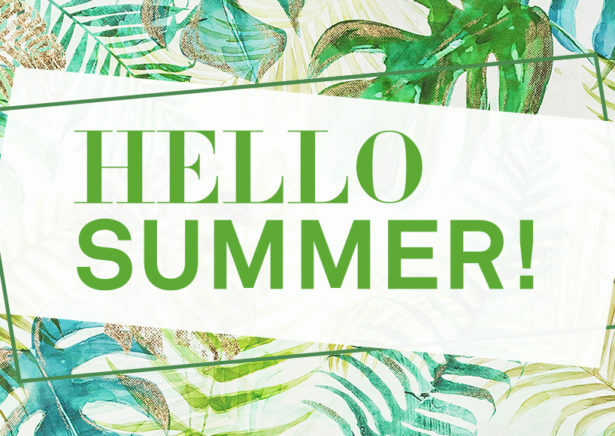 We couldn’t resist embracing its attitude in our debut collection. 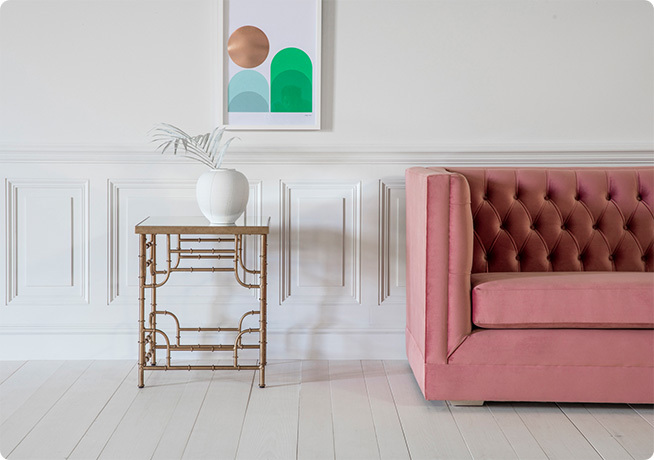 A low slung armchair with a shell-like back, the Rose chair comes in a choice 105 fabric options so you can go as colourful or calm as you care. 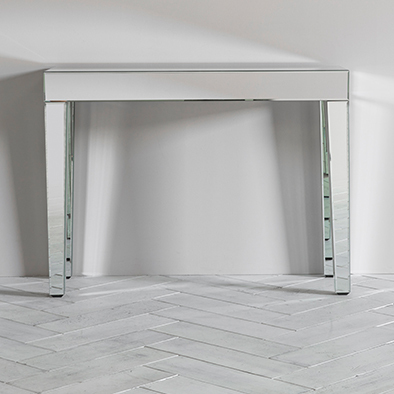 Distinct and opulent, the Alegra console matches a mirrored surface with metallic detailed edging. 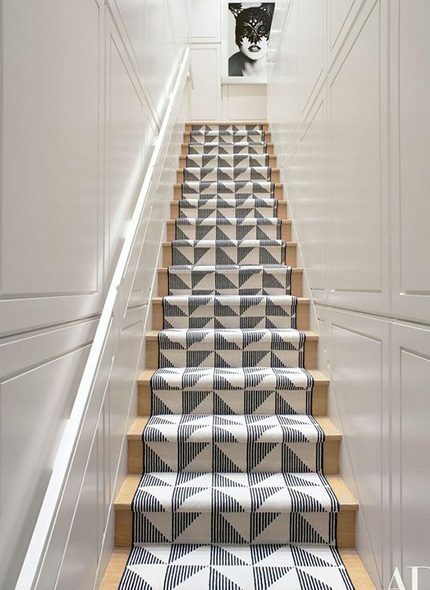 The dynamic geometric pattern is an absolute show-stopper. But if you are looking for a sleek version, go for the Zelda Console which is mirrored throughout. 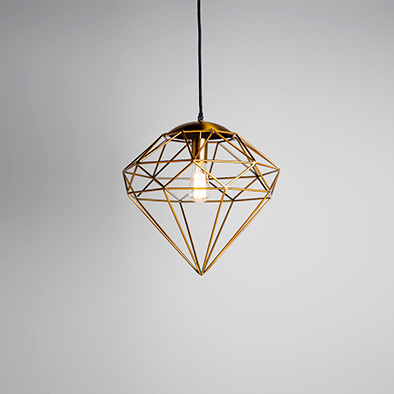 Our Winstone pendant light ticks all the Art Deco inspired boxes with an added industrial twist. 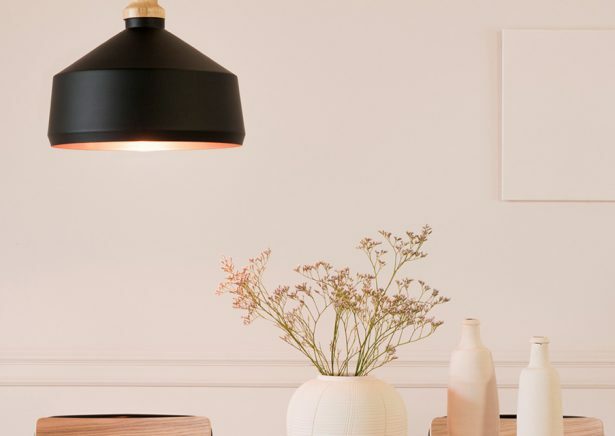 Add a filament bulb for an even more magical glow. What happens when you mix mid-century modern with Art Deco? 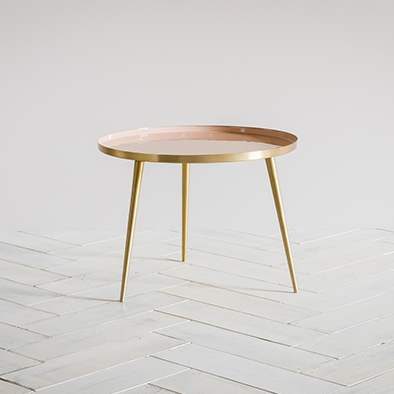 Our Rochelle side table is the best of both worlds and comes in two sizes, and three colour options. 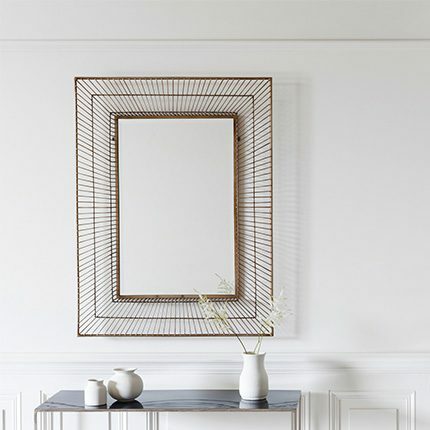 Celebrating strong, straight lines, the Mariko mirror features a gold wire frame that adds a subtle yet strikingly Art Deco feel to your walls. 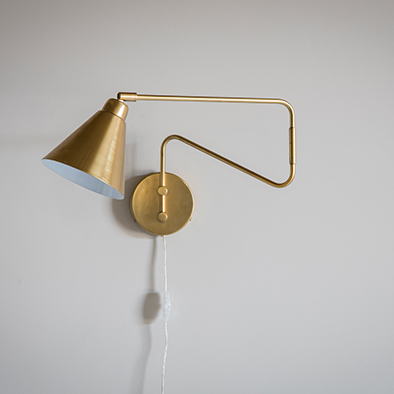 Have an early night and get stuck into the Great Gatsby with our Smyth wall light. Its distinguished, angular design and brass finish will make bedtime more magical. 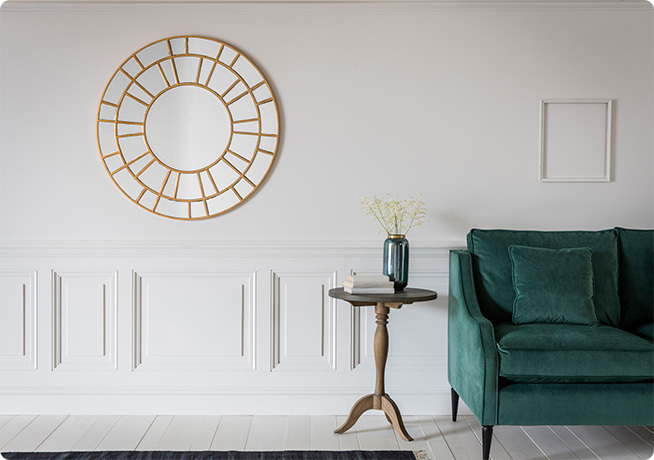 For more Art Deco style pieces, take a look here.